Seriously, how lucky are kids these days? Backyard cubbies have progressed from make-shift lean-tos made from dad’s old tarp and a couple of branches, to these magnificent mini houses. Move aside kids, I’m moving in! While there is something to be said for the humble homemade backyard cubby, it’s great to have a safe, sturdy playhouse for the kids. And of course, if it happens to be easy on the eyes like these brilliant My Cubby creations, that’s a bonus. My Cubby is a family business that prides itself on making cubbies that are, above anything else, fun. 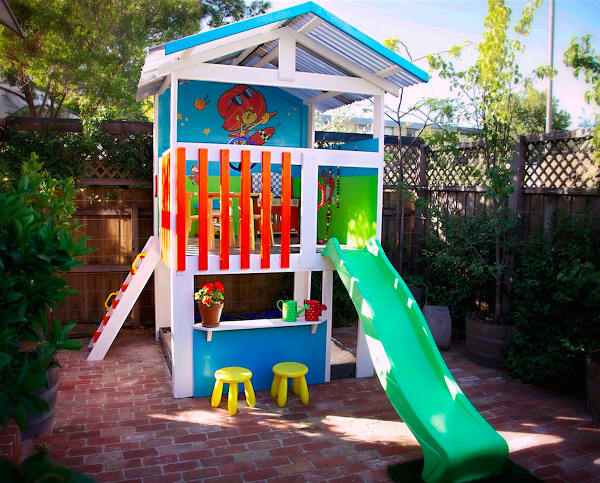 The cubbies inspire imaginative play and form a creative outdoor space. The secret to why these cubbies look so amazing is the team that creates them – builders with more than 30 years’ experience in the industry. 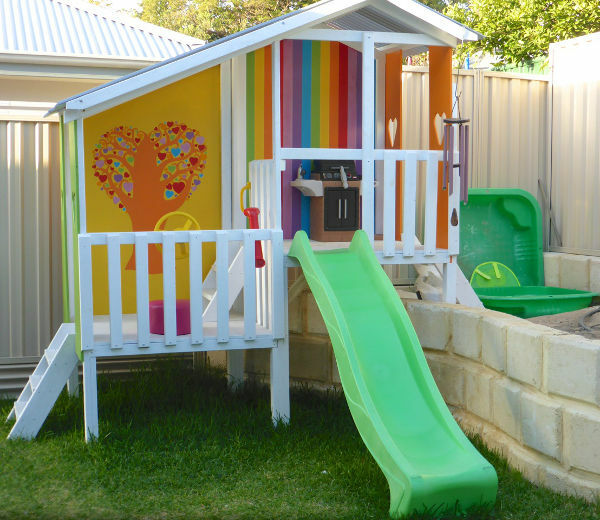 What’s more, each cubby is customised to your requirements so you’ll have the perfect layout to suit your backyard. 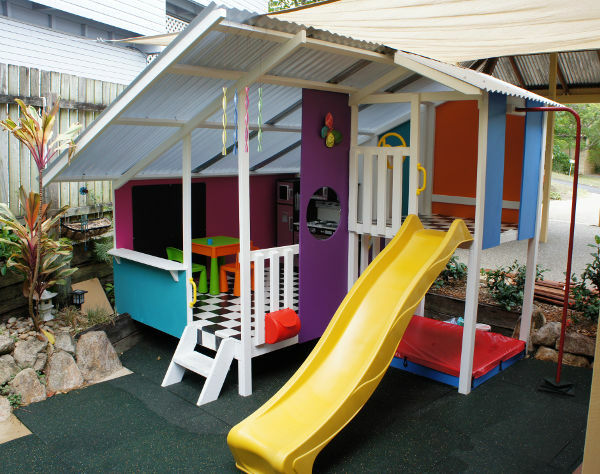 My Cubby is a member of Play Australia, and the cubby houses are created to be safe playspaces for children. Thick plywood is used for the walls and floors, so the cubbies are tough, and will last through many stages of childhood. The polycarbonate roofing provides 99.9 per cent UV protection – so the cubbies stay light and bright. 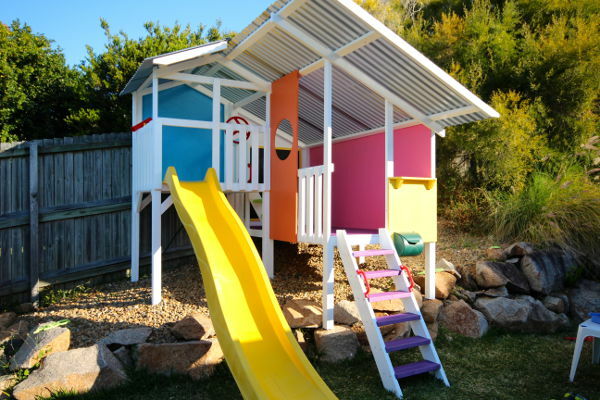 The cubby houses come flatpacked and unpainted, so your family can add its own personal touch. There’s also a mixture of cubbies with slides, and fabulous forts, which will have imaginations running wild. The large range will also suit a variety of budgets, with entry-level options available. If you’re keen to get a head-start on the Christmas shopping, My Cubby offers great lay-by terms, and there’s also an interest free option. My Cubby are offering Babyologists 15 per cent off the cubby range (excluding small forts, accessories, lay-bys and interest free), until 30 June, 2015. Simply mention the Babyology offer when you order your My Cubby to take advantage of this special deal – but you’ll have to get cracking! Browse the entire range at My Cubby.